Is Bob Marley the only third world superstar? How did he achieve this unique status? In this captivating new study of one of the most influential musicians of the twentieth century, Jason Toynbee sheds new light on issues such as Marley's contribution as a musician and public intellectual, how he was granted access to the global media system, and what his music means in cultural and political terms. Tracing Marley's life and work from Jamaica to the world stage, Toynbee suggests that we need to understand Marley first and foremost as a 'social author'. Trained in the co-operative yet also highly competitive musical laboratory of downtown Kingston, Marley went on to translate reggae into a successful international style. His crowning achievement was to mix postcolonial anger and hope with Jamaican textures and beats to produce the first world music. However the period since his death has been marked by brutal and intensifying inequality in the capitalist world system. There is an urgent need, then, to reconsider the nature of his legacy. Toynbee does this in the concluding chapters, weighing Marley's impact as advocate of human emancipation against his marginalisation as a 'Natural Mystic' and pretext for disengagement from radical politics. "[Bob Marley: Herald of a Postcolonial World?] 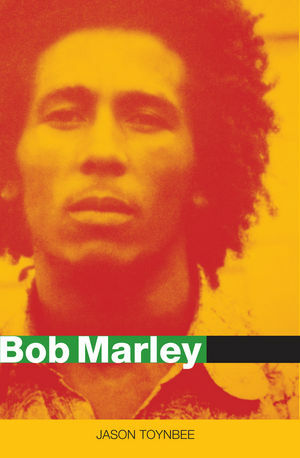 is the most intellectually nuanced and comprehensive treatement of Bob Marley available ... The book exemplifies nicely the analytical power of a rigorous and carefully applied social theoretical framework ... this is an excellent book, and I'm delighted that someone has finally given Bob Marley the elegant and sustained critical analytical treatment that he deserves. It is the richest , most serious, and most interesting scholarly analysis of Marley available." "The number of issues that Jason covers is quite remarkable and the bibliography highlights the excellent research; I doubt there will be many other books written on Bob Marley which cover 19th century slave revolts, mento and nyabinghi musical styles and unemployment and police harassment in Birmingham ... I fully recommend the book to anyone who has spent any length of time listening to Bob Marley, or to anyone who has an interest in the origins and spread of reggae music." "Jason Toynbee not only brings out the complexity of his music in this fascinating book, but takes the reader to some interesting details of the history of the rise of one of the most influential musicians of the twentieth century." "This book is a serious scholarly treatment of the life and music of Bob Marley which is well worth reading. It does not only trace Bob Marley's life and music through the turbulent post-war years but attempts to answer a crucial question: why has this artiste and this music, from a small Carribean island, had such a broad global impact? ... Toynbee insists that the global appear of this music has its own independent substance. The same may be said for this thoughtful and knowledgeable book. Courses in cultural studies and musicology at both the undergraduate and graduate levels should take careful note." "A smart and engaging example of what a popular music biography should look like." "As if infected by the sheer surprise and complexity of his music, this book makes sense of the contradictions of Bob Marley's life and work with wonderful analytic verve and an engaging display of the dogged scholarly need to understand. A tour-de-force of applied cultural theory and in itself confirmation of Bob Marley's continuing inspirational power!"